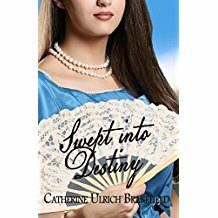 Maggie Gatlan, the quintessential southern belle, meets Ben McConnell, an Irish immigrant. She's fascinated by his view of life and loyalty. When the Civil War breaks out, Ben fights for the Union. Maggie's people hold fast to the standard of the Confederacy. After the war, will they be able to find common ground? This intricate story had a strong spiritual theme running throughout, as well as some thoughtful ideas regarding unity versus division. The parallel to what's going on today in the U.S. is worth noting. I would have liked the villain to have even one redeeming quality, maybe even a change of heart toward the end. He seemed devoid of any humanity or caring. I'm giving this book 5 Stars for story content. Disclaimer: The author provided an ARC for my unbiased review. All opinions, as always, are mine and mine alone. Writers: How do you keep your characters from being totally good or totally evil? 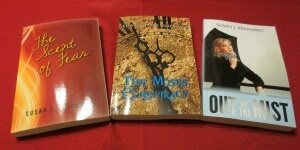 Readers: Do you enjoy stories set in the Civil War era? What's one of your favorites? I'm not sure! I do like it when you see the brokenness in the villian, even if there is no redemption in the end. Having some sympathy toward the protagonist helps keep me engaged. And I have to like the main character, otherwise I just get frustrated with the book!